Finalists have been announced for the Welwyn Hatfield Community Awards, following the judging taking place on Tuesday 11th July 2017. An initiative to celebrate the valiant heroes of the Welwyn Hatfield borough community has launched and is open for entries! An awards ceremony recognising that community spirit is alive and thriving in the Welwyn Hatfield borough is launching this year. The Welwyn Hatfield Times Community Awards reward those people who are making a significant contribution to their community, whether as a volunteer, fundraiser or unsung local hero. 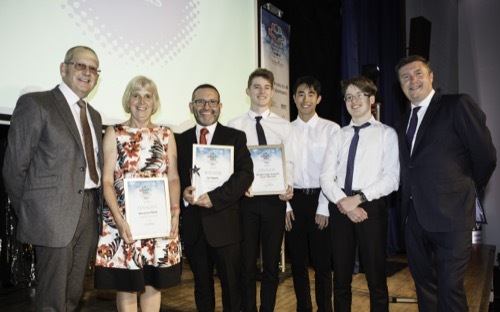 The awards took place at Oaklands College, Welwyn Garden City Campus on the 20th July 2017. The Howard Centre Community Heroes 2017 has lent a neighbourly hand, taken it upon themself to help clear out the streets of rubbish or raised thousands of pounds for charity, their story is worth being heard. The Howard Centre Community Heroes campaign will ran until June, and each month the shopping centre rewarded £100 to spend in their stores for one of these heroes. Howard Centre Manager Paul Haynes said “Although shopping centres are commercial venues they also play a valuable role in working with local groups and charities. At the Howard Centre we get actively involved in a whole range of community projects every year.” The Howard Centre was the headline partners of the Welwyn Hatfield Times Community Awards 2017.